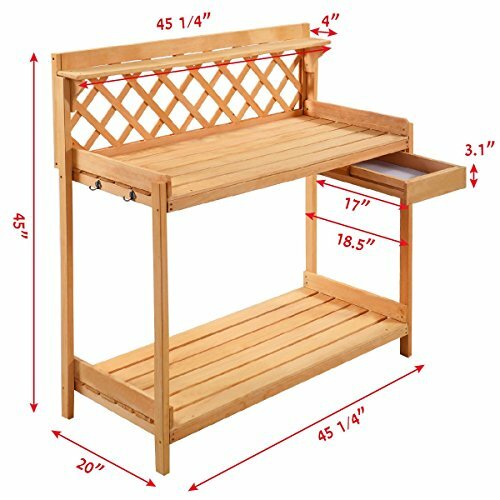 Save 1% on the Garden Wood Work Potting Bench Station with Hook - By Choice Products by By Choice Products at The Net Stores Network. Hurry! Limited time offer. Offer valid only while supplies last. This bench station is very helpful for garden jobs, it can organize your garden tools, plants pots, fertilizers, soils, water cans, gloves, etc.